Star forward John Tavares celebrated Canada Day on Sunday by announcing he's coming home to realize a boyhood dream of playing for the Toronto Maple Leafs after agreeing to a seven-year, free-agent contract worth $77 million US. Star forward John Tavares celebrated Canada Day on Sunday by announcing he's coming home to realize a boyhood dream of playing for the Toronto Maple Leafs. 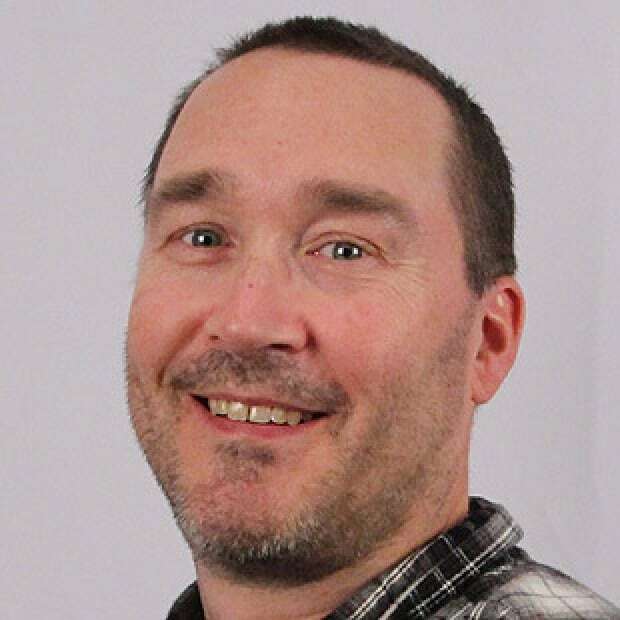 The crown jewel of this summer's free-agent class, the Mississauga, Ont., native has agreed to a seven-year contract worth $77 million US, with an average annual value of $11 million against the salary cap. "I just felt this opportunity was so rare," Tavares said at his introductory news conference at the newly named Scotiabank Arena (formerly Air Canada Centre), with Maple Leafs president Brendan Shanahan to his right and general manager Kyle Dubas on his left. "I believe this team has a big window to win and be part of something special. It just felt right and was an opportunity I didn't want to turn down." Tavares' arrival, added Shanahan, is "another great and significant step for this organization" and marks the first big player move for the 31-year-old Dubas in his six-week tenure as the 17th general manager in Maple Leafs history. Two summers ago, Toronto missed out on Steven Stamkos, another prized free agent, when the native of Markham, Ont., decided to remain with Tampa Bay. Tavares tweeted that he was going to Toronto just after 1 p.m. ET and then added a photo of himself sleeping on Maple Leafs sheets as a child. "I'm thrilled to be starting a new chapter of my career and life in Toronto," the Tavares tweet read. "I feel very fortunate to come join a team with a great young core and play where I grew up learning and loving the game. I can't wait to get started!" Tavares coming to Toronto is the biggest free-agent signing in Leafs' history — eclipsing the addition of Gary Roberts and Shayne Corson in 2000 — and the biggest in the league since Scott Niedermayer left the New Jersey Devils for the Anaheim Ducks in 2005. Dubas said it became apparent late Saturday night that Tavares was leaning to becoming a Maple Leaf and that contract negotiations extended into Sunday morning. The Islanders had exclusive rights until midnight ET to negotiate an eight-year contract extension with Tavares, who was drafted first overall by New York in 2009. Boston, Dallas, San Jose and Tampa Bay were also in the mix this week as each, along with Toronto and New York, was allowed two hours at the Beverly Hills, Calif.-based office of Creative Artists Agency Sports to address Tavares, his agent Pat Brisson and fiancée Aryne Fuller. It's believed the Maple Leafs created a promotional video to present to Tavares that included a few of the players. I’m thrilled to be starting a new chapter of my career and life in Toronto with the <a href="https://twitter.com/MapleLeafs?ref_src=twsrc%5Etfw">@MapleLeafs</a>. I feel very fortunate to come join a team with a great young core and play where I grew up learning and loving the game. I can’t wait to get started! Upon his return from Los Angeles, Tavares said his heart was in Toronto and New York. "My heart was tearing apart trying to figure out what I wanted to do," he said, noting it was one of the toughest weeks of his hockey career. "[And Saturday] was one heck of a day. You can ask [Aryne] how many times I walked up and down the pool at my house trying to get a sense of what I wanted to do." Perhaps in a last-ditch effort to keep the beloved player, the Islanders recently lured 2018 Stanley Cup-winning head coach Barry Trotz from Washington as well as former Maple Leafs GM Lou Lamoriello. However, under recently fired GM Garth Snow, New York failed to build a team around Tavares capable of competing for a Stanley Cup and has missed the post-season each of the past two years. 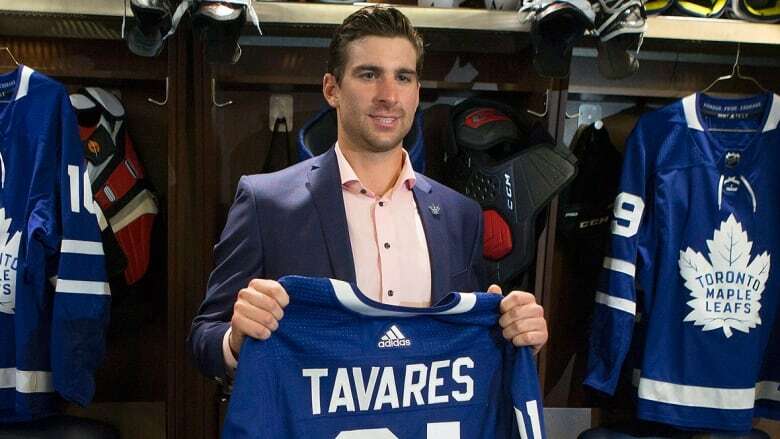 In Toronto, Tavares joins what could be one of the deepest, if not most talented, group of centres in the NHL with Auston Matthews and Nazem Kadri. The 20-year-old Matthews, the No. 1 pick in 2016, has scored 74 goals and 132 points in 144 regular-season games. Kadri, 27, was drafted seventh overall in 2009. After posting 39 points in the 2014-15 season, the London, Ont., native has since responded with season totals of 45, 61 and 55. Toronto is coming off a team-record 105-point season under head coach Mike Babcock that saw goalie Frederik Andersen break the franchise mark with 38 wins and a young core continue to develop that also includes Mitch Marner, William Nylander, Zach Hyman, Kasperi Kapanen, Connor Brown and Andreas Johnsson. Tavares said he is "excited' about the career trajectory of Matthews and Marner. "They've accomplished so much in such little time," he said. "The way they handle themselves, the way they deal with [playing in a hockey hotbed] in Toronto and just being able to play their game. "Auston's got the potential to be one of the great goal-scorers in our league. He's got an amazing knack for finding the net [and] incredible stick skills, not just handling the puck but stripping guys, takeaways and being able to be so crafty. You have to be so careful with the puck around him. "Mitch's speed and ability to control games at times and create time and space with his feet is extremely impressive. He's on top of the puck and he wants it, and I think that's a big quality to have." Tavares, the biggest name to reach unrestricted free agency since the NHL brought in a salary cap following the 2004-05 lockout, also won a gold medal with Babcock at the 2014 Olympics in Sochi, Russia. "There's definitely a comfort level with Mike," said Tavares. "He was tremendous in the meeting getting me to feel how I can be a part of this team and contribute. His energy, vision and work ethic are second to none. He's got results everywhere he's been." Dubas said a decision on who will captain the team — Matthews and Tavares are obvious choices — would not be rushed, adding "we want to see how the group fits and works together. We feel we have some great leaders, John among them, and we'll make that call when it becomes apparent to us." The 27-year-old Tavares scored 37 goals and 84 points in the final season of a six-year, $33-million deal signed in 2011. Tavares' most productive NHL campaign came in 2014-15 when he notched 38 goals and 86 points for an Islanders outfit that lost in the opening round of the post-season. He has amassed 272 goals and 621 points in 669 regular-season games and 11 goals and 22 points in 24 playoff starts. "The Island has been home, it's what I know, it's part of me — it always will be. I can't thank you all enough for the dedication you have all shown," Tavares said in a separate tweet announcing his decision. "I'm sorry if this decision pains you, as you can tell it wasn't easy, but have trust in the future because it is bright. The Islanders are in great hands." New York has good young pieces in Calder Trophy winner Mathew Barzal and Anthony Beauvillier up front to go along with what was viewed by many as the one of the best drafts of 2018 after nabbing Oliver Wahlstrom and Noah Dobson, but still looks to be a long way off from contending after finishing last in goals against and shots allowed in 2017-18. The deepest Tavares has played in an NHL post-season was two years ago following the Islanders' first regular campaign at Barclays Centre in Brooklyn. After finishing fourth in the Metropolitan Division and fifth in the Eastern Conference, they eliminated the Florida Panthers in six games, courtesy of Tavares' goal in double overtime to mark New York's first playoff series victory since 1993. The Isles then suffered a five-game loss to Tampa Bay. He was granted "exceptional player" status to join the Ontario Hockey League at age 15 in 2005. Tavares was selected first overall in the OHL draft by the Oshawa Generals, and would go on to score an OHL-record 215 goals with 218 assists in 247 regular-season games. He added 56 points (20 goals, 36 assists) in 38 playoff outings. Tavares helped Canada win back-to-back titles at the world junior hockey championship. He had four goals and an assist in seven tournament games in 2008 before putting up an incredible eight goals and seven assists in six games in 2009 in Ottawa, including a memorable hat trick against the United States on New Year's Eve.